Shiny, showy, classy, bold. Ovate leaves are each uniquely streaked dark green and lime green. 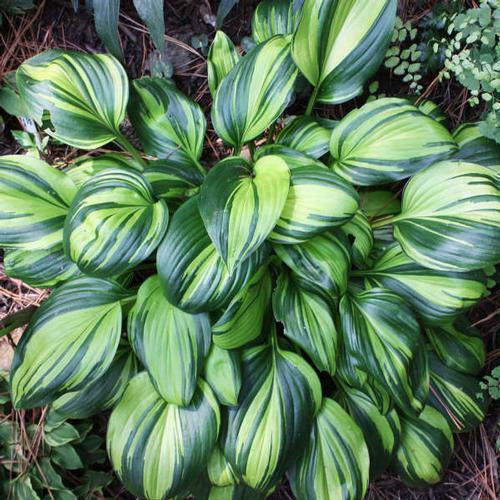 As with most hostas, colors soften as the season progresses. Dark lavender flowers bloom on 19" scapes in August.